It’s no new news that there’s a shift that’s been happening in natural physique sports. 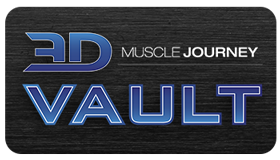 What started years ago, as primarily a bodybuilding only spot, is now integrating increasingly greater subjectively judged divisions. In today’s podcast, Eric, Andrea and Alberto, talk about their thoughts on this issue, and how it is affecting the original sport they fell in love with. What did “physique sports” look like years ago? What were the original divisions? How is the increasing importance in the trait of “beauty”, affecting the individual classes themselves on a year to year basis? A variety of questions such as those above are answered, along with a few possible solutions, to the blending of these two seemly the same, yet very different niches. 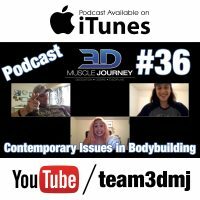 What does the group think the future holds for the sport of natural bodybuilding? Will it become obsolete?